They are hard at work on the White Boy Rick movie about Rick Wershe, Jr. Filming is underway in Cleveland, which is substituting for Detroit, as explained in a previous blog post about how incentive packages influence where movies are shot. In the last post, we took a look back at the prosecution’s argument in the 1988 trial that resulted in his conviction and life sentence. This post recaps the puzzling defense position in his case. They are busy filming a movie inspired by the saga of Richard J. Wershe, Jr., known in the media as White Boy Rick. The Cleveland Plain Dealer newspaper did a photo spread last week showing scenes being shot at a Cleveland Mall that is supposed to be the backdrop for the unveiling of the Detroit People Mover. "Matthew McConaughey films scene for 'White Boy Rick' in Cleveland's Tower City" features photos that show star Matthew McConaughey and a first look at Richie Merritt, the newcomer who plays Rick Wershe in the film. There are a series of photos that can be scrolled by using the right-hand arrow near the photo spread. Merritt is the young man with the curly hair, gold chains and a fur coat. There's also a photo of the actor who is playing the role of Detroit's late mayor Coleman Young. And, of course, there are photos of Matthew McConaughey, sporting a mullet, who is playing the role of Richard Wershe, Sr.
Rick Wershe’s defense attorney at his trial was not the one he had when he was arrested. Initially, he was represented by William Bufalino II, a veteran criminal defense lawyer. Bufalino’s father, William Bufalino I, was a close associate of Jimmy Hoffa and represented the New Jersey Teamsters who were called before a federal grand jury and grilled about Hoffa’s disappearance. After reviewing the facts of Wershe’s arrest in May, 1987 for possession of cocaine in excess of 650 grams, the first thing Bufalino did was file a court motion to suppress the evidence. The evidence was 8 kilos of cocaine in a box that did not have Wershe’s fingerprints or palm prints on the box or the packages of cocaine inside it. Between Wershe’s arrest and trial, he replaced Bufalino with Detroit attorney Ed Bell. This was done at the urging of Cathy Volsan Curry, the niece of Detroit Mayor Coleman Young. 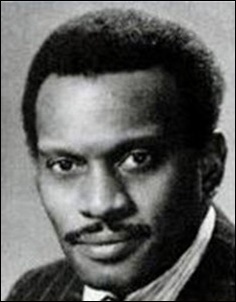 Wershe and Cathy Volsan Curry were having a fling at the time and she and her family convinced young Wershe that he needed a black attorney for a case to be heard by a Detroit jury in Recorders Court. Bell was black. Bufalino was white. Wershe pushed Bufalino aside and hired Ed Bell as his defense attorney. The first thing Bell did when he took over the case was to withdraw the motion to suppress the evidence. Why he did this was never explained. Bell and Bufalino are both deceased. But we do know this: Bell was close to Mayor Young in Detroit’s black political power structure. Young did not like his niece consorting with drug dealers, especially a young white kid who aspired to become a big-time drug man. What if, just supposing for a moment, Bell set out to make sure Rick Wershe would go to prison for life if he was convicted? That would end Wershe’s affair with Cathy Volsan Curry, and it would eliminate a family headache for the mayor. Withdrawing the motion to suppress made no sense. It did not hinder the case in any way and it provided a viable avenue of appeal in the event of a conviction. After all, this was a trial about possession of cocaine. There were plenty of reasons to challenge the police claim that it was Wershe’s dope. There was no fingerprint evidence on the drugs or the box they were in, and witness testimony was in conflict about who did what and who had what when Wershe was arrested. If the appeals court could be persuaded to suppress the evidence, the prosecution case against Wershe would fall apart. Without the motion to suppress, Wershe’s chances on appeal were not good. Instead of attacking the evidence, which was vital to the prosecution’s case, Bell pinned his argument to the jury on the suggestion that the police may have planted the cocaine to fabricate a reason for his arrest and to cover up police brutality. Police officer Rodney Grandison, who arrested Wershe and lied under oath when he told the jury he did not know Wershe, gave Wershe such a beating in between some houses at the time of the arrest that Grandison fractured his prisoner’s eye socket. Wershe says he and Grandison were well acquainted and in fact, Grandison used to invite him to his house to smoke marijuana with him. The FBI later proved Grandison was lying when he said he had never met Wershe before the arrest. Wershe called Grandison at home in an FBI recorded call from Marquette prison. The call made it obvious that Grandison and Wershe were well acquainted. In his opening argument to the jury, Bell attacked the police version of events.Bell began by challenging the police claims about how the sequence of arrest events began. The police claim they made a traffic stop because the car Wershe and a friend were in was speeding through Wershe’s neighborhood. The high-speed pursuit covered half a block. “You must determine whether or not that car was traveling at a high rate of speed to get to the middle of the block,” Bell told the jury. The implication was that the police invented the speeding story to cover the fact they made a “pretext” traffic stop on Wershe. In other words, Bell suggested they were lying in wait, looking for an excuse regarding Rick Wershe. After the police stop, Wershe and the driver, Roy Grisson, were standing outside, between their car and the police car, as Officer Grandison and his partner, Jeffrey Clyburn, approached. The police looked in the car. There was a plastic grocery bag filled with money on the passenger-side floorboard. Officer Clyburn reached in for the money and claimed he thought he saw a gun, too. Rick Wershe’s family came out of the house and a scuffle and fight broke out between the Wershe family and the police. “You will hear testimony that when this was all over, there was no gun. There was no gun,” Bell said. At this point, there are two fact questions for the jury to consider. The first is whether it’s plausible that a car was speeding for half a block, or whether the police officers made it up as an excuse to make a traffic stop. The second is whether a police officer was lying when he said he started searching the car because he thought he saw a gun inside. The police admit when it was all over, there was no gun, and that was Bell’s point to the jury. If there was no gun, Officer Clyburn had no “probable cause” to search the car—making it an illegal search by the police. While his family was mixing it up with the police, Rick Wershe walked away. He went between the houses to the next block. Here again, the prosecution case gets shaky. “The Prosecutor is going to ask you believe that he (Rick Wershe) escapes from the police without any dope, and then goes someplace and gets eight kilos of cocaine to walk blatantly into the street one block over, goes up to somebody that (is sitting) sits on the porch, and says ‘I want to pay you five hundred dollars to put this in your backyard.’ He’s escaped without any dope. They want you to believe he went and got some dope,” Bell argued to the jury. By now the neighborhood is crawling with police officers responding to radio calls about the fight with the Wershes. Bell asked the jury to use common sense in considering whether Rick Wershe would walk away from a police confrontation, go between some houses, get a box with about 18 pounds of dope in it and walk around the street carrying the box of durgs and asking a resident if he could hide it in her back yard. That claim about Wershe offering money to hide a box in someone’s back yard came from a prosecution witness named Patricia Story. Yet, this same woman never said a word about it when Officer Grandison found Rick Wershe standing near the woman’s porch, without a box, and arrested him. She never said, “Officer, this young man put a box in the back yard and offered me five hundred dollars if I would let him put It there.” She didn’t mention the conversation about the box when the police arrested Wershe. The box wasn’t found until later that evening after the Wershe family had been taken to the police precinct and Rick Wershe had been taken to the hospital for treatment of his fractured eye socket. A team of narcs from a federal/local drug task force just happened to appear at the police precinct station when an “anonymous” call came in about a box in the back yard where Wershe was arrested. Keep in mind, Patricia Story hasn’t told the police about any box. No one knows about any box or any dope until this mysterious “anonymous” tip phone call to the police precinct about an hour after the arrests. The call is mysterious because, somehow, the automated police phone recording system which records all incoming calls, just happened to supposedly fail at the precise moment the tip call came in. Acting on this phone tip that somehow wasn’t recorded, the narcs go back to the scene and low and behold there’s a box with 8 kilos of cocaine, but Wershe’s fingerprints and palm prints aren’t on it. Yet prosecution witness Patricia Story contends Rick Wershe was lugging this 16-pound box around, asking to put it in her back yard. Bell urged the jury to pay attention to the testimony about the finding of the box. In one version, it has been taken into the Story house. Another version has the box being found by the police under a back porch. Bell noted the witness testimony would not jibe with the police written reports from that night about the mysterious box of cocaine. As he concluded his opening argument, Bell said: "It's the theory of the Defense that the police had a good reason to put the box back there. It had to do with the beating. And you will hear a lot of testimony about that," Bell said, adding, "It's a shallow, artificial, superficial case put together by a combination of the Detroit Police Department and Wayne County Prosecutor's Office because they don't like Richard Wershe. That's the reason we're here. No other." Bell was suggesting the police planted the drugs to fabricate a case against Rick Wershe that would send him to prison for life. There’s a concept in criminal law called constructive possession. An example might be something that is found in a suspect’s bank safe deposit box. The suspect may not have physical possession, but has constructive possession because he/she had control of the safe deposit box. The key to constructive possession is the defendant must have had knowledge of the object, in this case a box of cocaine, and the ability to control it. From the recitation of facts in this blog, it is easy to see why William Bufalino’s first move when he was on the case was to file a motion to suppress the evidence, the box of drugs, in the Wershe case. Why Ed Bell withdrew the motion to challenge the evidence makes no sense. Bell was an experienced trial lawyer. He had been a circuit court judge. It’s provocative to accuse an attorney of sabotaging his client to curry political favor with a powerful politician. But the notion that a political player like Ed Bell might maneuver to ensure that a young man who was an embarrassment to a powerful mayor went to prison for life, is a theory that makes sense in the atmosphere of 1980s Detroit. Prior to trial, Rick Wershe had been smeared repeatedly on TV news and in the newspapers as a suspected “drug lord” and “kingpin,” in effect the Godfather of Detroit’s cocaine underworld. It had to have a corrosive effect on potential jurors. Despite all the flaws in the prosecution case, a jury found Rick Wershe guilty of possession of over 650 grams of cocaine. Under Michigan law at the time, the penalty was automatically life in prison. By his own admission, Wershe was trying to become a cocaine wholesaler, a weight man. But as retired FBI agent Gregg Schwarz has said, he didn’t make it. He was busted before he could hit the big time. In Coleman Young’s empire, there were many bootlickers and sycophants who were constantly maneuvering to curry favor with “The Mayah.” The police department and Wayne County Prosecutor’s Office were no exceptions. Mayor Young was known to be dismayed that his favorite niece had a drug habit and a penchant for dating a Who’s Who of the Detroit drug trade. Her dalliance with a white kid who was looking to become a big shot in the city’s drug underworld had to be particularly galling. Years later, in Wershe’s 2003 parole hearing, William Bufalino II testified under oath that Bell and his law partner, the late Sam Gardner, who had been chief Recorders Court judge, and another crony of Coleman Young, “…pulled the motion. They hung this boy out to dry." The reader is invited to make a list of the key points and facts in this blog. Then, connect the dots.